Credit cards are supposed to be a convenient alternative to using cash. People only need to present their cards at a store for their purchases. There is no need for people to bring along cash when you have a credit card. But despite its benefits, there can also be certain disadvantages. One of the serious issues connected to credit cards is that they allow people to have the perception about more purchasing power than they actually can afford. The very convenience of using a credit card can cause people to overspend. This can result into a serious debt problem. There are other credit card alternatives available for people who either do not want to touch them or are not qualified to have them. Here are some worth checking out. The debit card may actually be a popular credit card alternative among many people today. What makes it similar to a credit card is that it can also be used for purchases by simply presenting it at any store that receives credit card payments. People can also use it to purchase online. The only difference that a debit card may have is that it comes with a spending limit. You can only spend as much as what you have on your checking account balance. Spend more than that and the card gets rejected. Debit cards are good alternatives for people who are easily tempted to spend more than they can afford by using credit cards. It can help prevent overspending, or at least limit purchases only to what you can afford. Some people are not qualified for using credit cards because of their poor credit score. One alternative is using a secured credit card. Secured credit cards require users to deposit certain amount every month from where purchases will be deducted. The amount becomes the card’s credit limit. Once the amount is used up, it gets rejected until you make another deposit on the card. Secured credit cards help prevent people from overspending. Using one responsibly can also help improve the credit score, hopefully enough to make people qualify for regular credit cards in case one is needed. 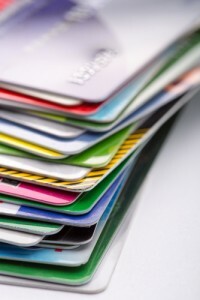 Secured credit cards also are subject to annual fees and other charges. It pays to look for one that requires low fees or application charges. If you need money now that you wish to pay back at a later time, you may prefer applying for a personal loan rather than charging it on a credit card. Generally, personal loans have lower interest rates than credit card loans. Banks and credit unions usually provide personal loans for people. You may want to consider checking out credit unions in your area since they typically offer lower interest rates and other fees on loans they offer. But membership is exclusive most of the time and you need to apply to get in. But it may be worth it if you need to get a loan at more attractive terms. This type of loan is not offered by an institution but by individuals pooling together money to offer as loans. There are websites that offer such loans like Prosper and the Lending Club. People apply for such loans and are approved based on their credit history. But unlike a credit card, peer-to-peer loans have a lower interest rate. But it is not an option for people with a bad credit history since applications will more likely be turned down. But just the same, peer-to-peer loans may be another good alternative to sourcing some money to use today that you wish to pay for later on.